In 2018, our law firm formerly CSF&W, was reborn as Scruggs, Spini & Fulton. Bidding adieu to Laura Walther, we welcomed Dave Spini in as a new partner. We were sad to see Laura leave to pursue other interests in her life, but happy to have had the years working with such a capable attorney and asset to the community. We’re also thrilled that Harold Cartwright is still with the firm working as Counsel. As it has been for many years as CSF&W, the law firm of Scruggs, Spini & Fulton will continue to work as a professional, full-service law firm comprised of the best and most experienced personal injury lawyers in Santa Cruz, California who provide legal representation for clients in Santa Cruz and Monterey Counties, and throughout all of Northern California. 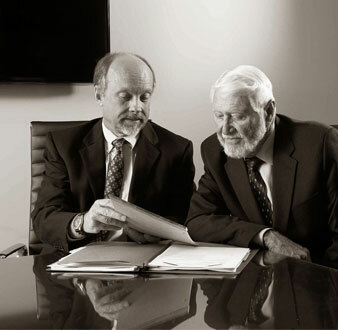 SS&F has more combined experience and resources than any other personal injury law firm in Santa Cruz County, and our highly acclaimed trial attorneys have obtained numerous large verdicts. 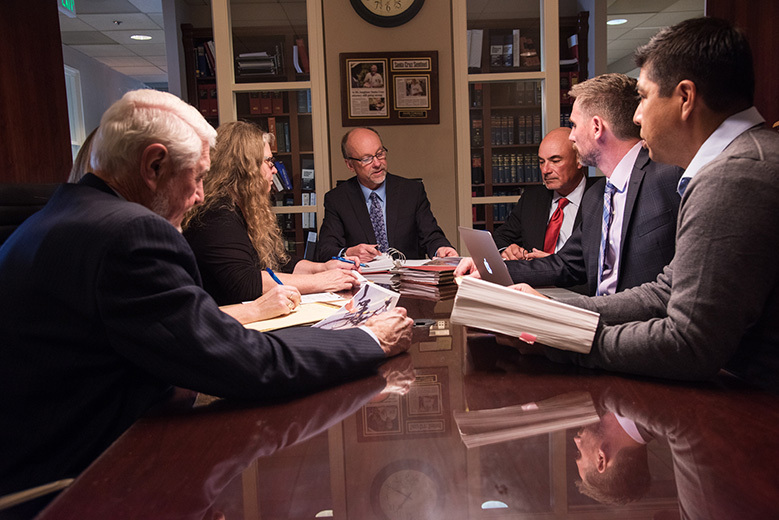 Because of our history of success, other attorneys regularly turn to our firm for advice or assistance in handling large and difficult cases. SS&F has received the highest rating possible, “AV” by Martindale-Hubbell, a national company that through research and surveys ranks law firms across the country. The AV rating is only given to the most exceptional law firms — those that are “pre-eminent” in their field. Whether you have been injured in an accident or have lost a loved one due to the negligence of another, you may be entitled for compensation for your losses. At Scruggs, Spini & Fulton our main objective is to maximize the recovery in our clients’ litigation cases. We believe the difference between getting an expedient settlement and a just award comes down to an attorney’s determination, spirit and commitment. 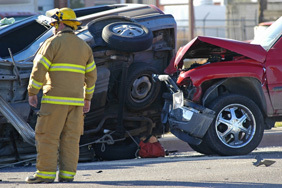 Settling a personal injury case too low can stem from a lack of preparation or lack of will. Getting justice demands both solid case preparation and the will to insist on a just result. The results listed in the “Success Stories” page of this website speak to our determination to getting just results for our clients. An important part of our law firm’s philosophy is giving back to the community. All of the members of the firm have volunteered time to the “Elementary Law Program” which gives fifth grade classes throughout Santa Cruz County the opportunity to conduct a trial at the Santa Cruz County Court House through the mentoring of a volunteer lawyer. In addition, each attorney has volunteered their time extensively, including being on the boards of numerous nonprofit organizations, such as Big Brothers/Big Sisters, Santa Cruz County Community Foundation, Survivors Healing Center, various Little Leagues throughout the county, high school mock trial programs, and numerous other community organizations. If you have a legal matter or factual situation you wish to discuss with an attorney, we encourage you to contact our firm. Our attorneys can evaluate your claim at no cost, and will charge no attorneys’ fees unless we recover damages for your losses. We work on a contingency basis. If there is no recovery, there is NO FEE. Call for FREE consultation today!